How Much Does It Cost To get Put to Sleep at the Dentist? Sedation dentistry can be expensive but the actual cost depends on the level sedation and how many dental appointments are necessary to complete the case. Dental sedation is charged by the amount of time. The fee for full IV sedation dentistry is usually $500 to $1000 per hour and $150-$250 per 15 minute increment after the first hour. The time is only for when the patient is sedated for dental work and does not include set up time or sedation recovery time. Often in complex dental sedation cases the price of the dental work will be lowered and will more than offset the sedation fees. When a patient sleeps comfortably through the procedures it is easier on the patient and the sedation dentist. Nitrous Oxide aka laughing gas or twilight sedation can be used in cases where there is mild to moderate dental anxiety. The cost of nitrous oxide dental gas is usually $100-$150 for the first hour of laughing gas and $25-$50 per 15 minute increment after. Dental gas is ideal for shorter appointments where there is moderate or less dental anxiety. Laughing gas sets in quickly and wears off quickly with no “hang-over” effect. Nitrous oxide is very safe, convenient and inexpensive because it requires very little monitoring or much expertise in anesthesia. The risks of complication are very low to practically non-existent. Nitrous Oxide does not require a patient to be off foods and liquids prior to use. Nitrous gas anesthesia wears off so quickly that recovery is full within 15-20 minutes. A patient can even drive themselves home after the procedure with gas. 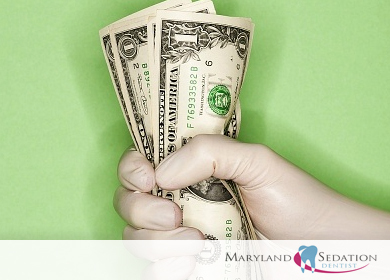 The costs of oral sedation dentistry is $500 per hour. Most patients in our office do not opt for oral sedation dentistry because it is nearly as expensive as IV full sedation and it is no where near as predictable and safe. In the event of a sedation emergency, the oral sedative is much more difficult to reverse because there is not an IV in place for quick administration of sedative reversal drugs. 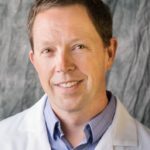 For longer appointments and in cases of moderate to severe dental anxiety or phobia, IV sedation is the best sedation technique. IV dental sedation requires a lot more expertise by the sedation dentist, a site license through the State of Maryland and very specialized training. IV sedation is the most expensive form of sedation dentistry, but in cases where more extensive dentistry is necessary, many dental appointments can be combined into one. Literally what may ordinarily take 10 appointments can be accomplished in one or two appointments with intravenous sedatives. Full sedation dentistry for more advanced cases may cost less money and time because a large cases can be done in much fewer appointments, resulting in a better patient experience and reduced sedation fees and time. Dr. Adams will usually adjust the fee lower for all the dental work since it is easier to do under sedation also. Usually the true price for dental sedation is less than you think when all things are considered. The cost of intravenous sedation is a lot higher than laughing gas sedation. The price for IV deep sedation dentistry can be between $300 – $1000 depending on how long the sedation dentist takes to perform the procedures. Often times when complex dental treatment is done and the price of the procedures are high, the fees for sedation may be included in the fees of the case or offset by a reduction in the fees for all the dental work. For example, if a patient needs 5 implants and 10 extractions, the price of the case is already thousands of dollars and the doctor may not charge extra for the IV dental anesthesia. Or the dentist may charge less per implant because he is doing several at once. How much is General Anesthesia for Dentistry? General Sedation is very rarely needed for dental work. General Anesthesia is also not very practical in dentistry since it is necessary to maintain an airway for the patient. Often times, airways are done with tubes and a patient with a tube down there throat cannot get dental work since the tube is in the way of working on the teeth. All this being, said, general intravenous dentistry has been done and the fee is usually $1200 per hour plus. General dental sedation is usually done in a hospital setting by a team of dentist and anesthesiologist.